The Greater Los Angeles County Vector Control District, in partnership with the Mobile Science and Vector Education Foundation announces two opportunities for local students to win prizes while expressing themselves creatively through their original works. 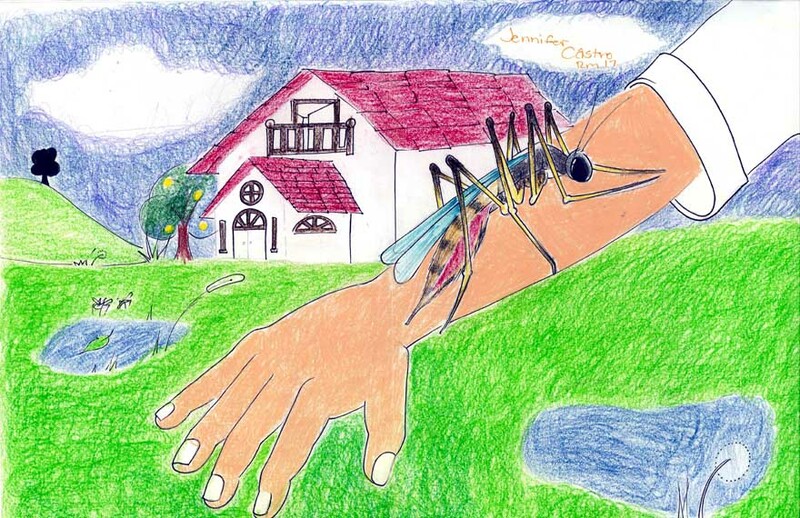 4th Annual Student Poster Contest: Bite Back Against Mosquito Attacks! * Open to students grades 4-6 who are attending a school in the Greater Los Angeles County Vector Control District service area (includes Santa Clarita Valley). * Participants should create a poster that promotes the “Bite Back Against Mosquito Attacks!” theme. Students’ work may be focused on subject areas such as eliminating standing water, wearing mosquito repellents, and avoiding outdoor activities between dusk and dawn. The district’s website can also serve as a resource for ideas. Please go to: www.glacvcd.org. * Posters may be created using paint, watercolor, pencil, pen, charcoal, crayons, pastels, etc. Posters should be no larger than 11 x 17 inches and should be on heavy, white paper stock. * The grand prize winner will win a $100 gift card, a Little Caesars sponsored pizza party for his or her class, and will have the winning artwork featured on the GLACVCD website and summer mosquito awareness campaign. * Submissions for this contest should be post-marked by March 22, 2013. Winners will be announced in April 2013 during California Mosquito Awareness Week. * Essays should be at least 200 words and no longer than 700 words. All essays should contain an introductory paragraph and end with a summary/conclusion. Essays submitted should be the final draft and free/limited from grammatical/spelling errors. * While essays do not have to be typed, it is highly recommended and all hand-written submissions must be legible for the participating judges to read. * Submissions for this contest should be post-marked by March 22, 2013. Winners will be notified by April 22, 2013. * The winning essay will receive a $100 gift card and a Little Caesars sponsored pizza party! For more information and official contest rules, click here.